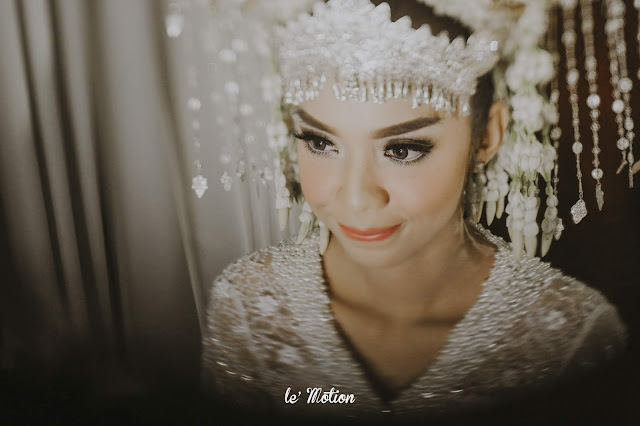 Dhea is the cousin of Esty, our former client, so, we already knew Dhea since then. 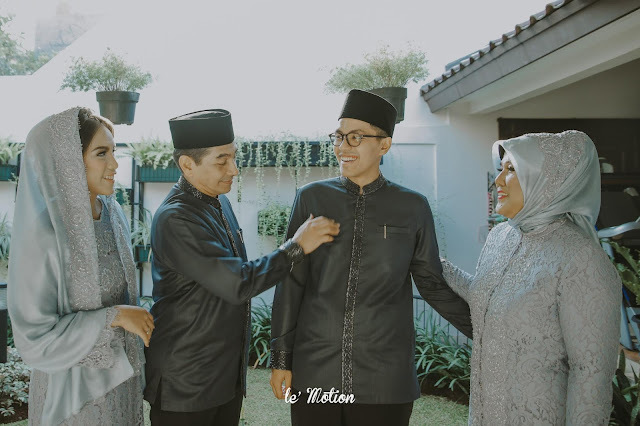 The same as Esty's Family, Dhea's family are also humble and warm and not to mention, Ridho's family is full of kinship. 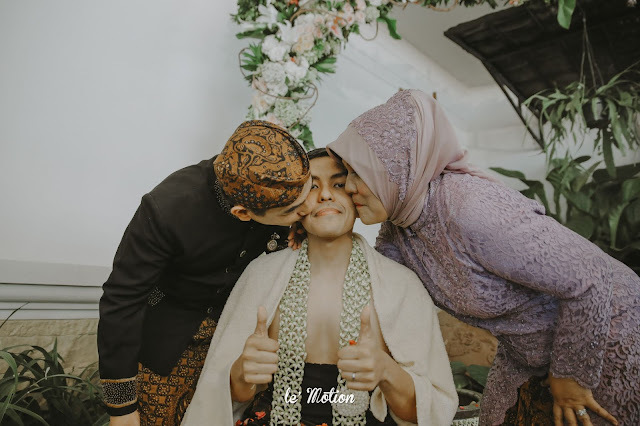 They really treat us like we are their family! 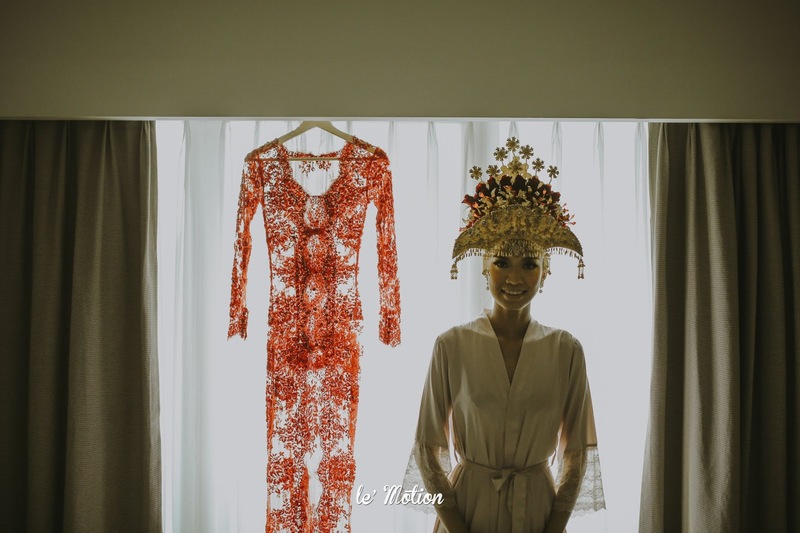 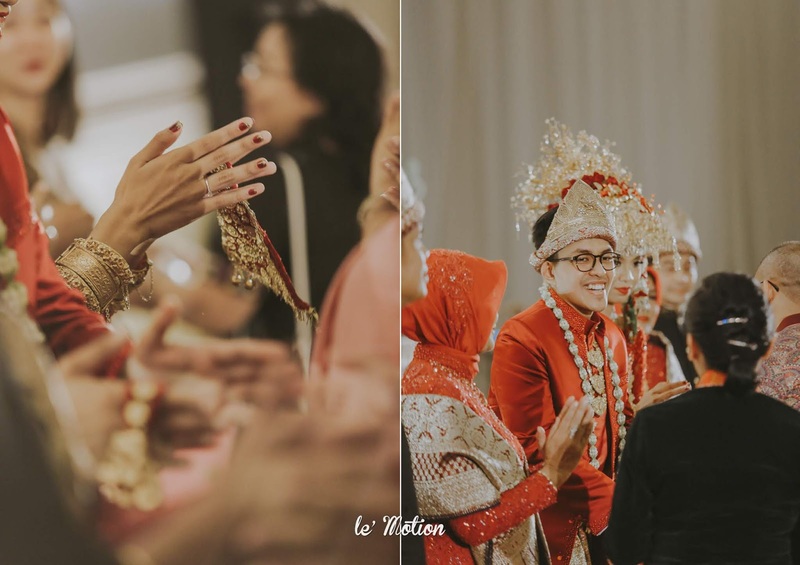 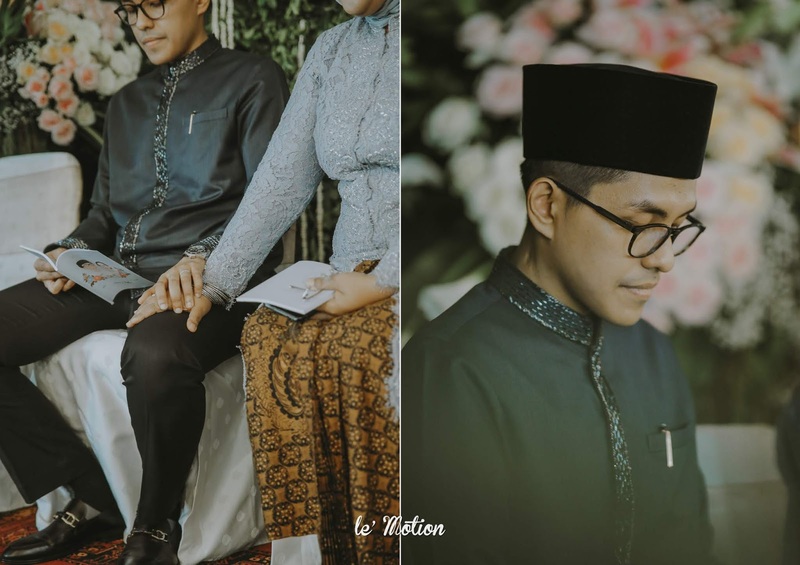 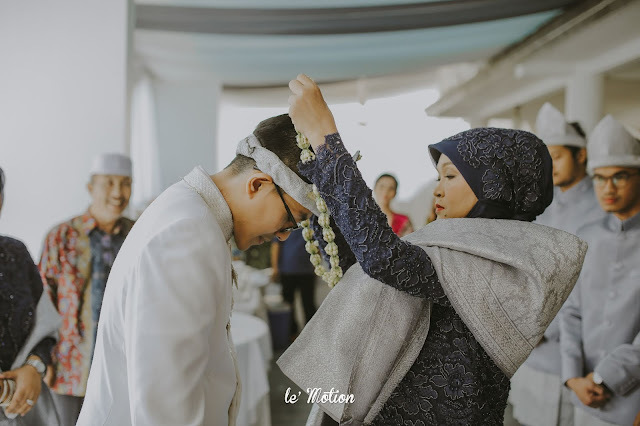 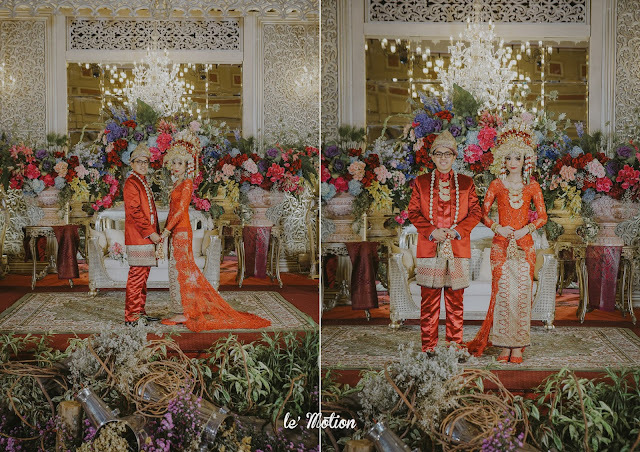 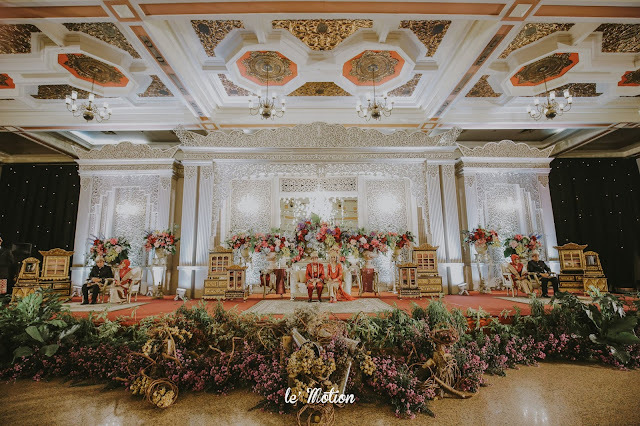 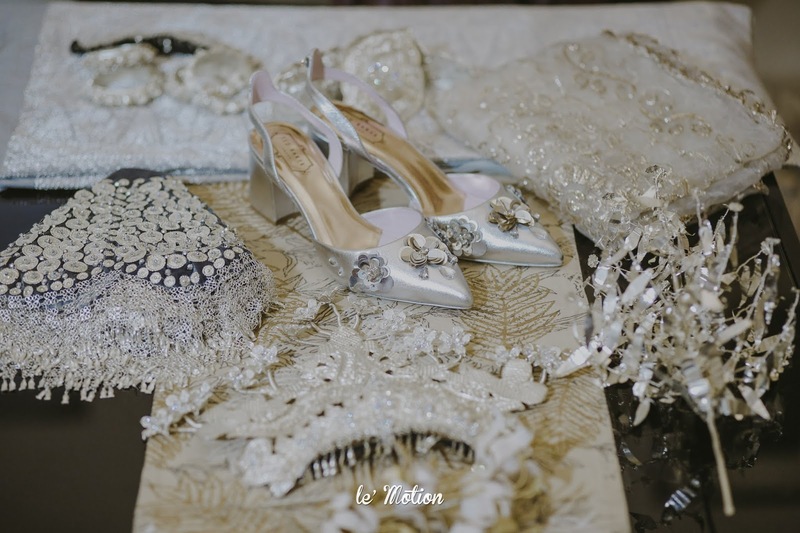 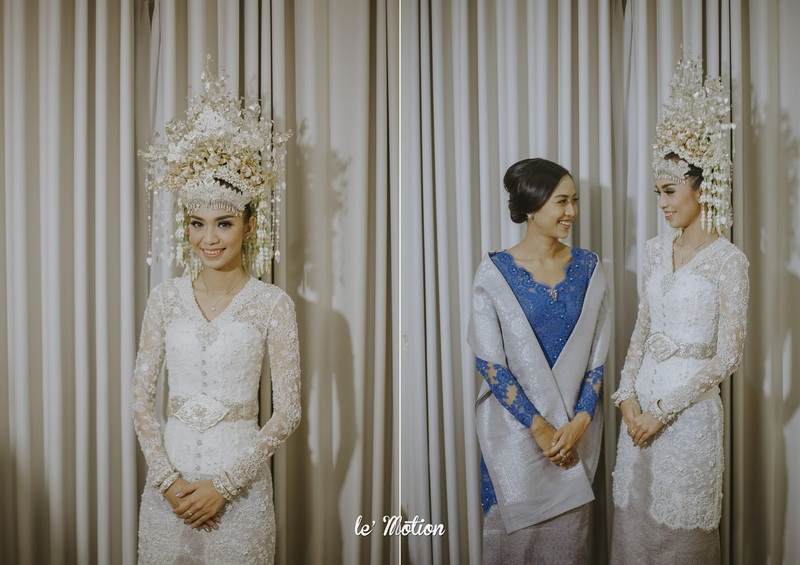 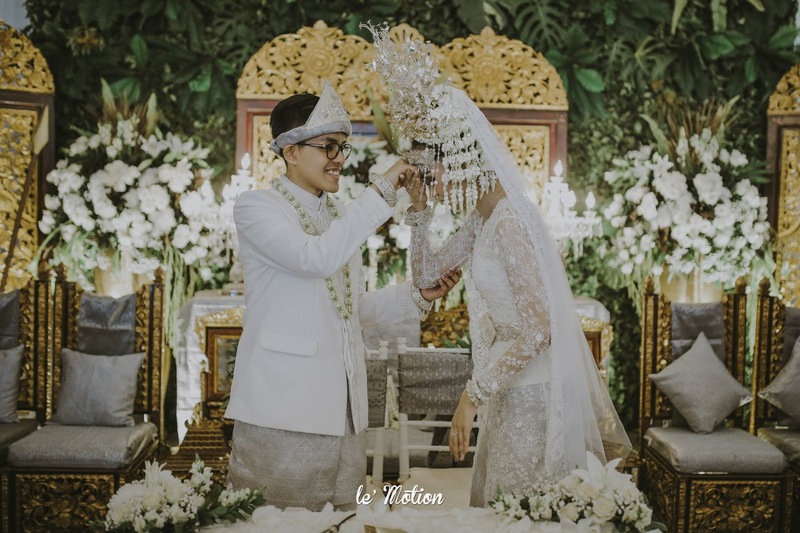 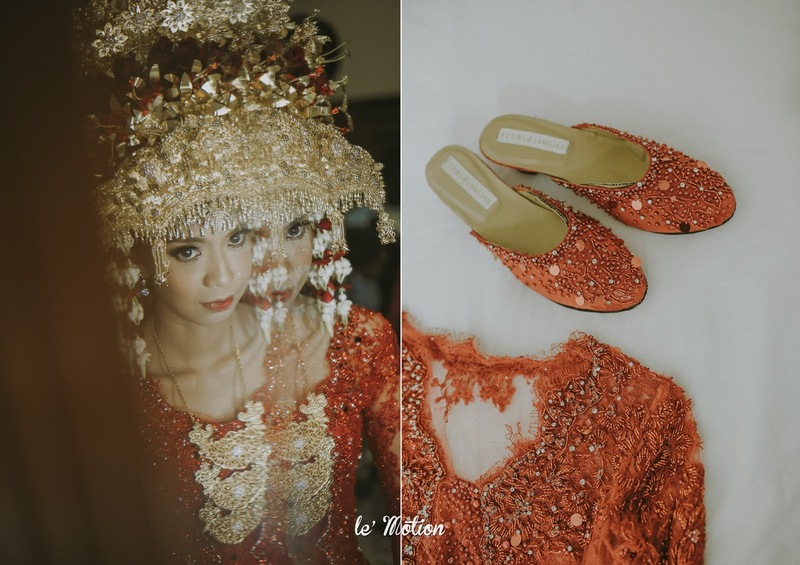 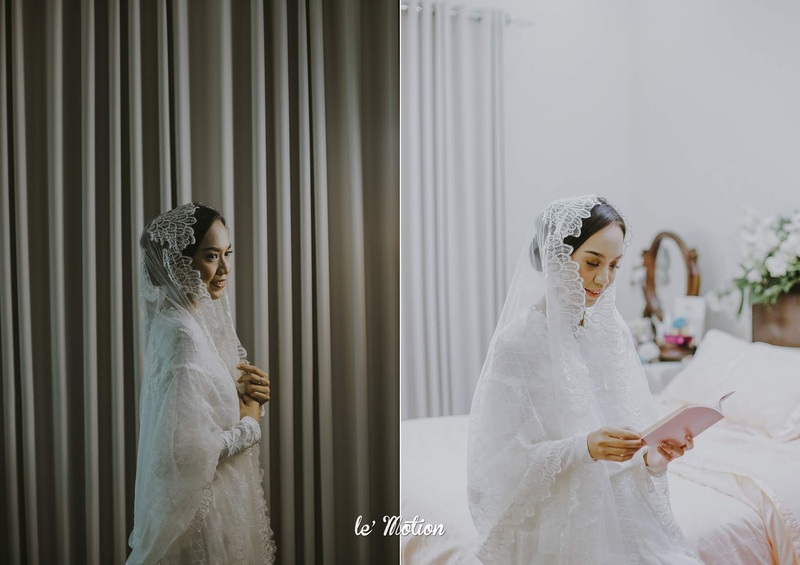 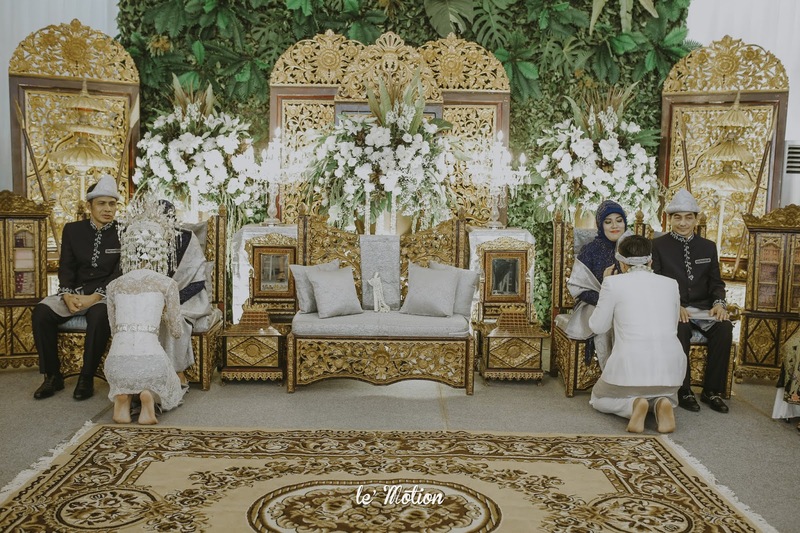 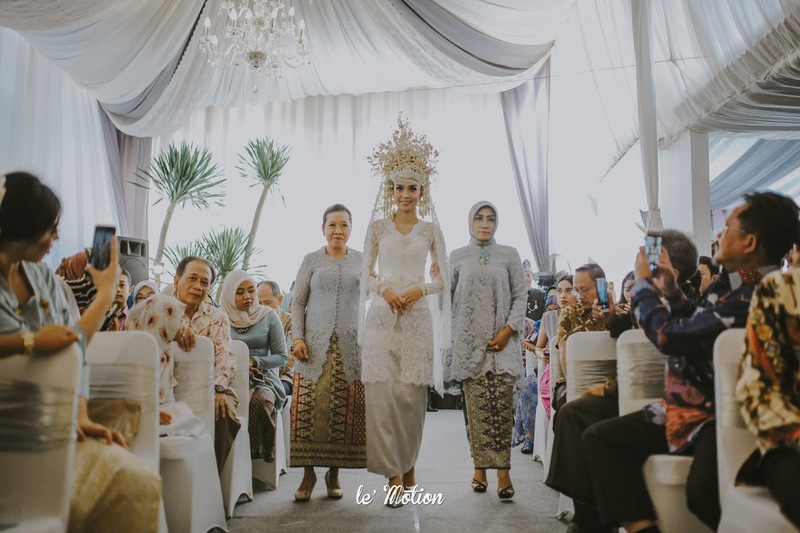 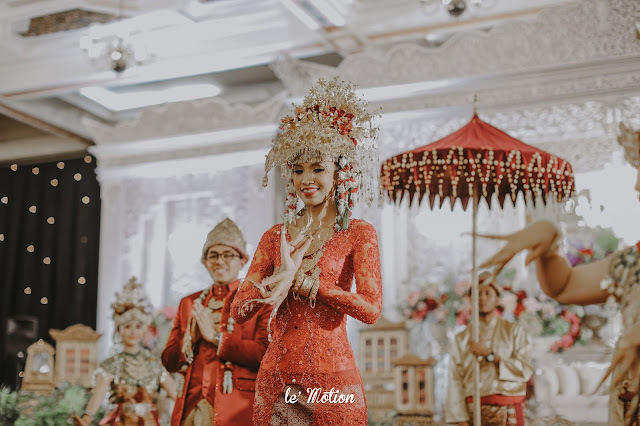 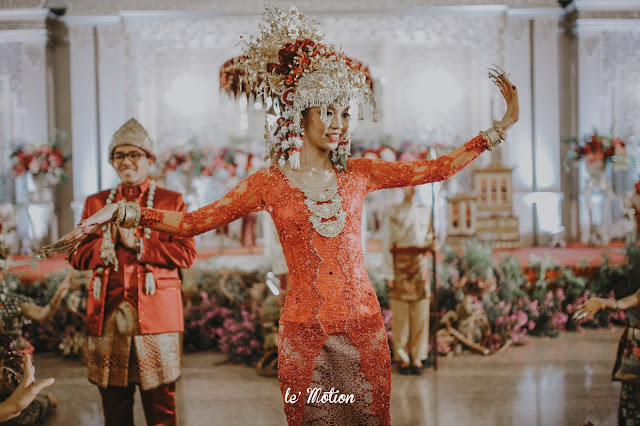 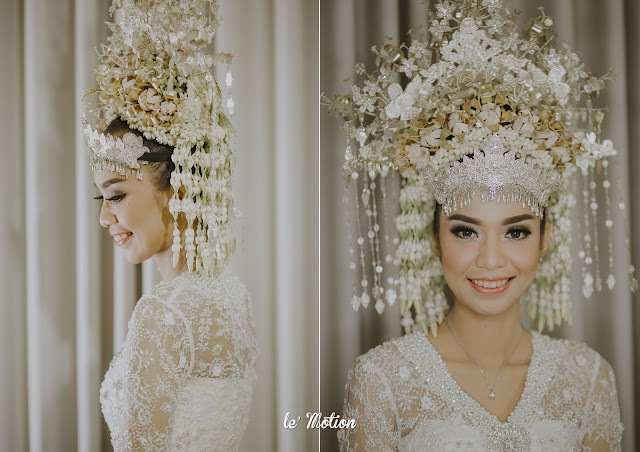 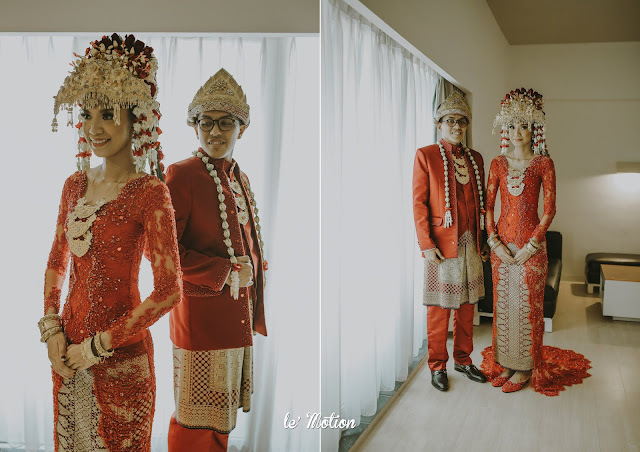 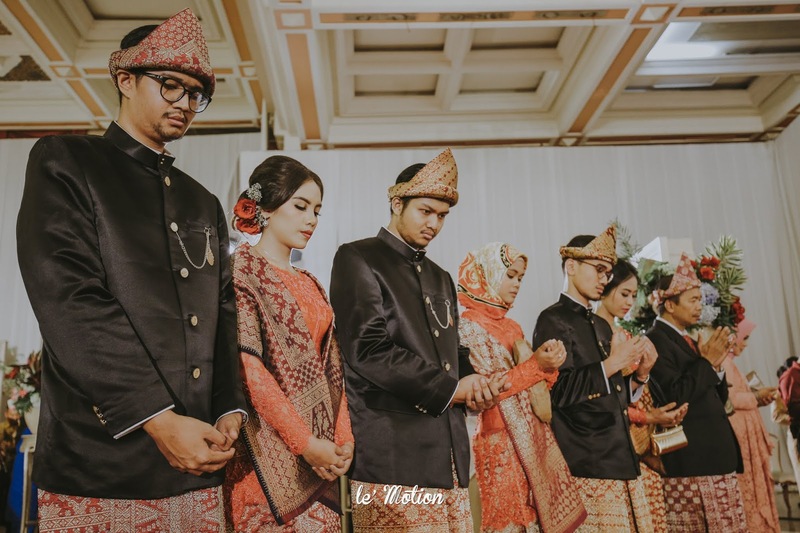 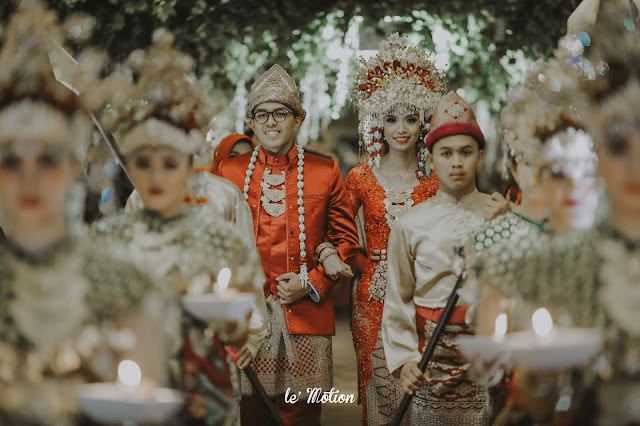 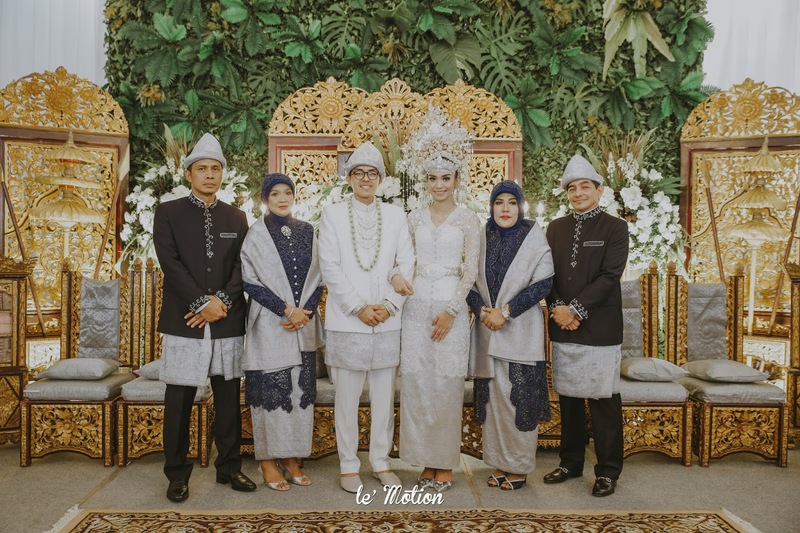 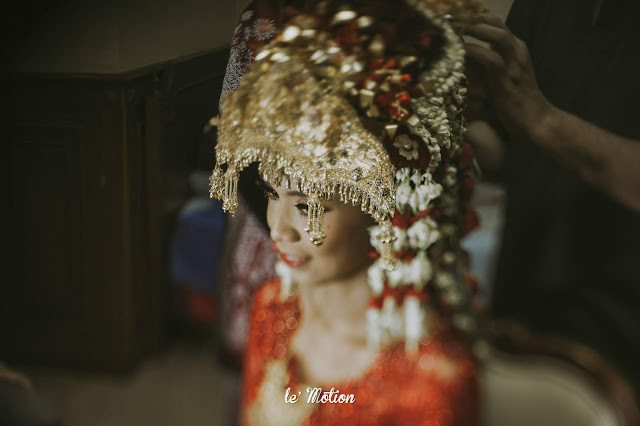 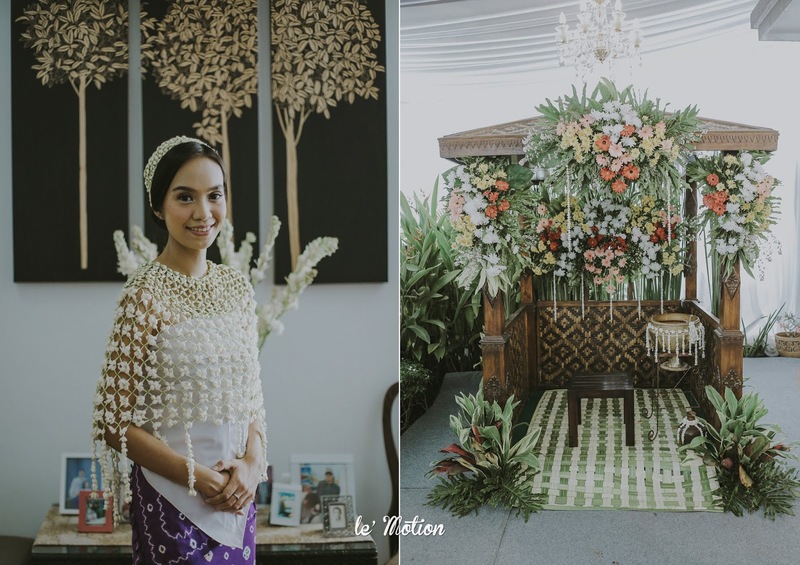 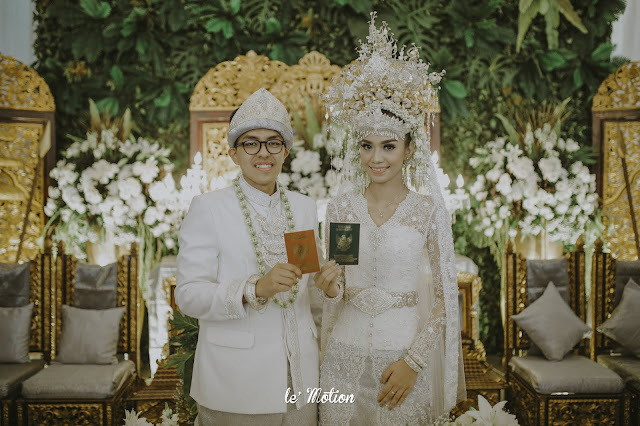 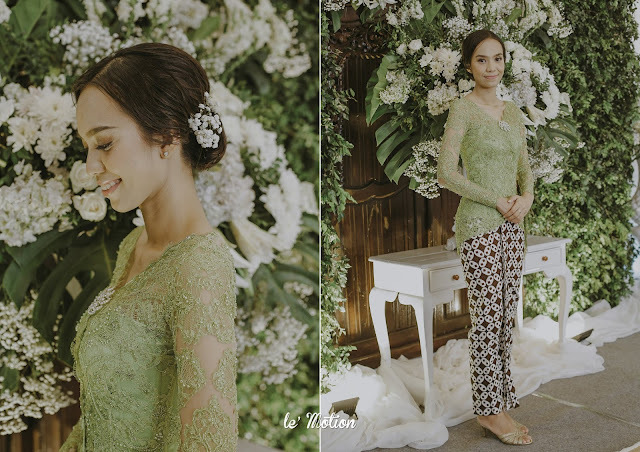 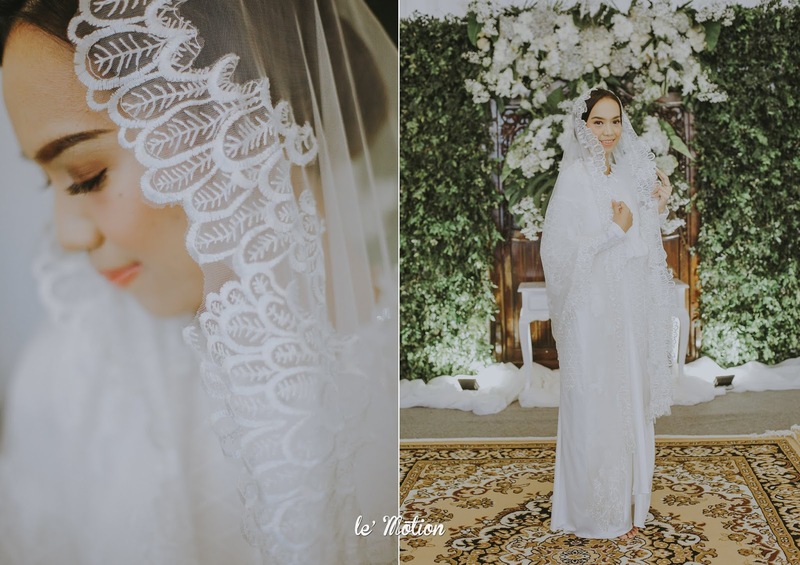 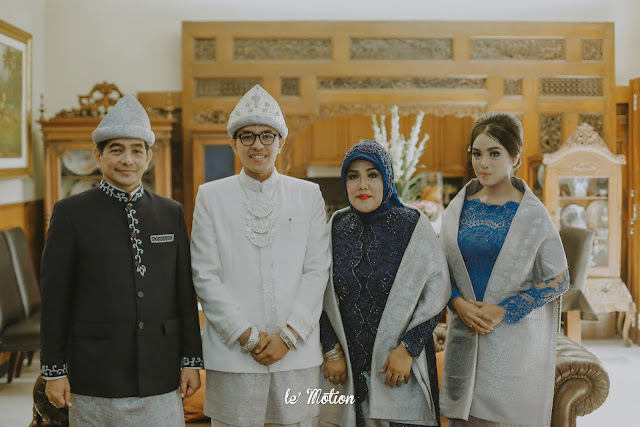 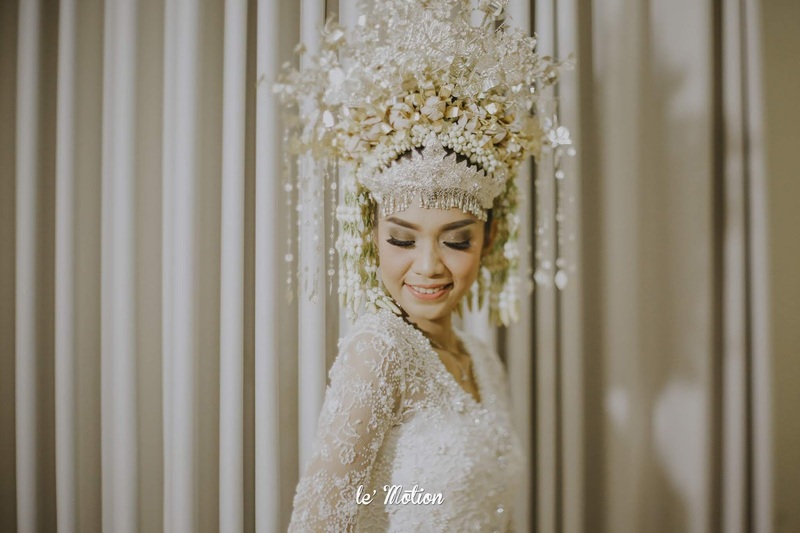 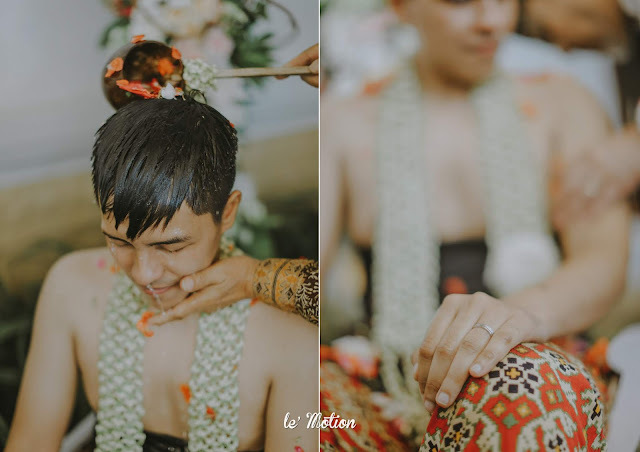 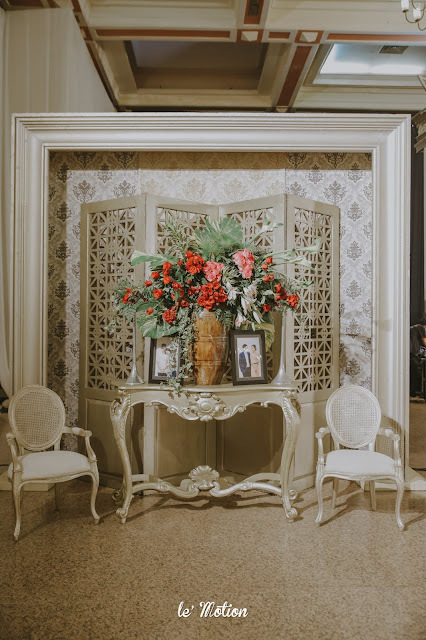 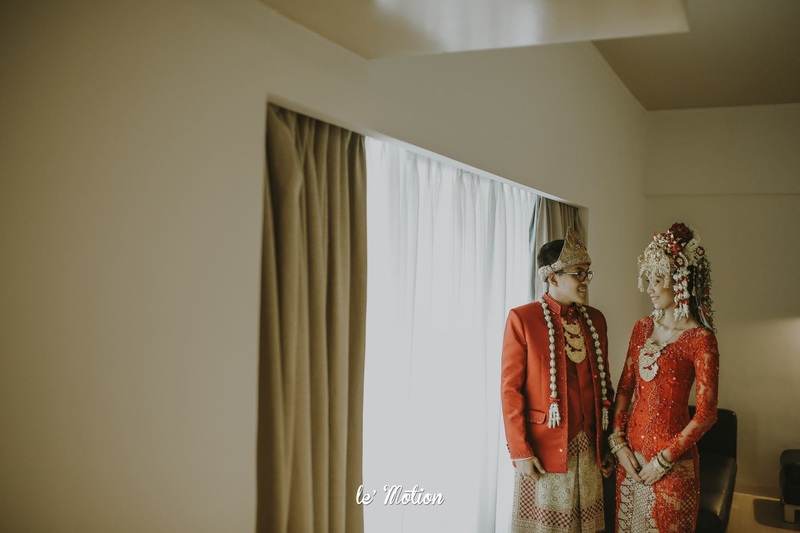 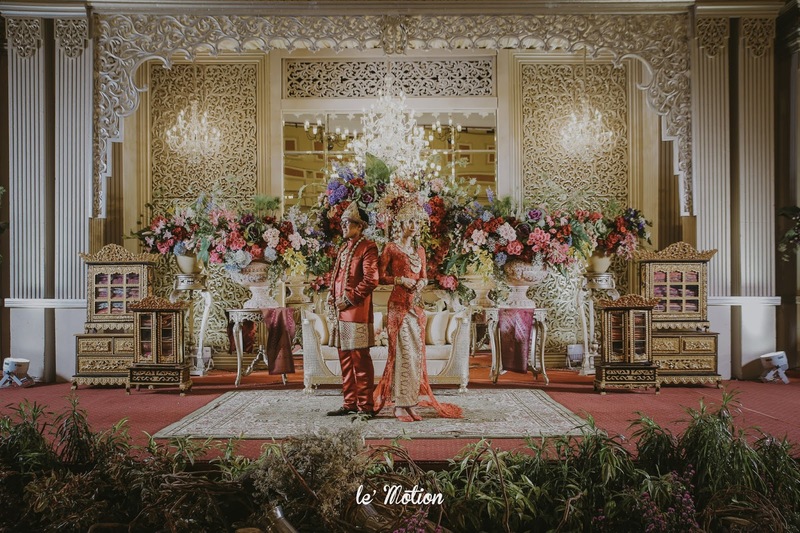 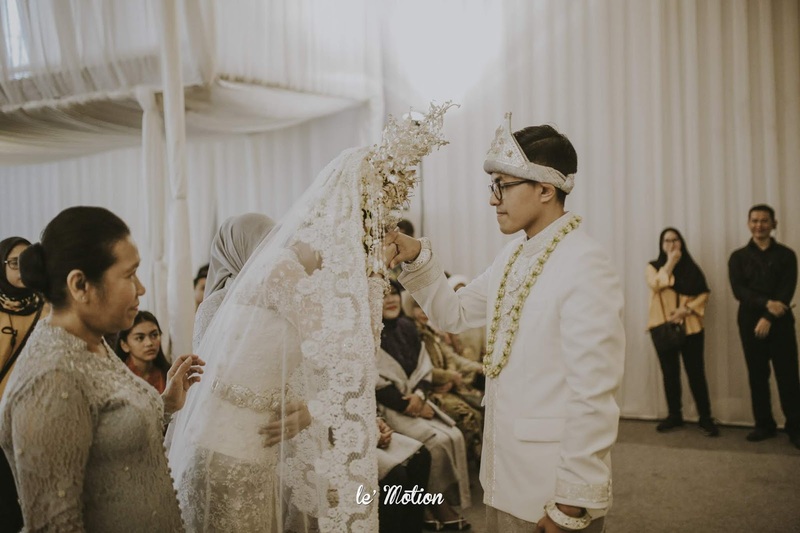 Dhea and Ridho's wedding was held with the traditional customs of Palembang. 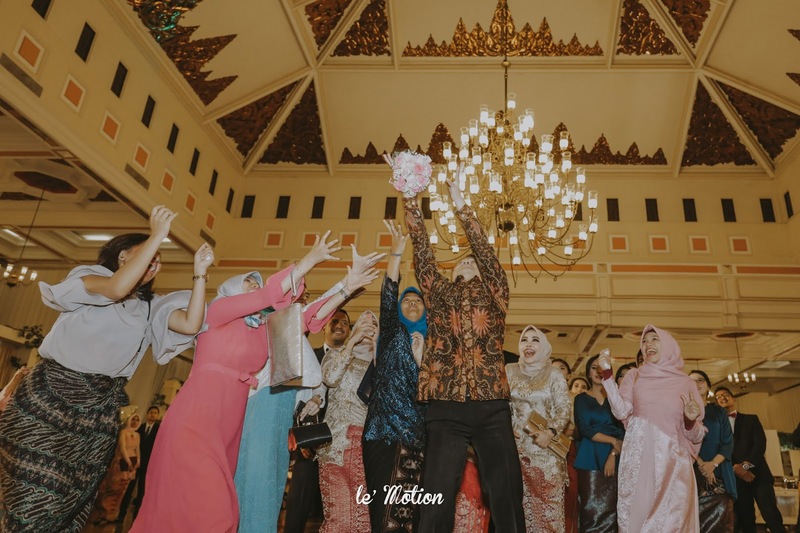 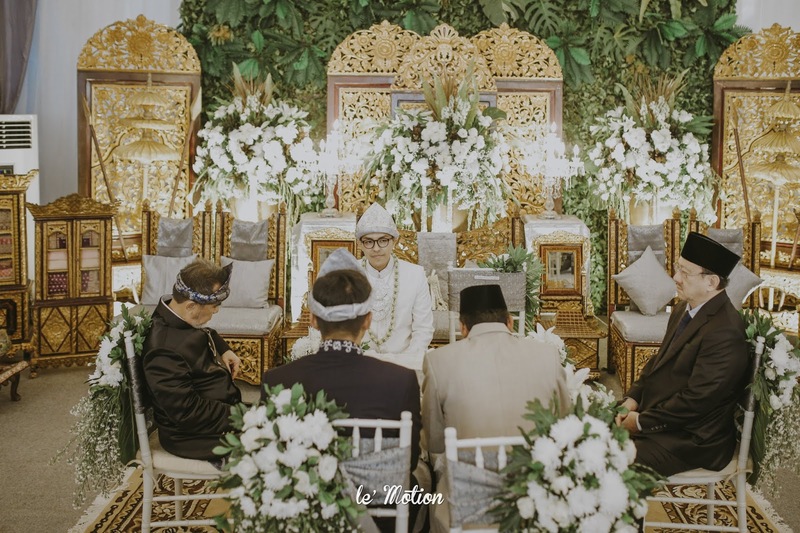 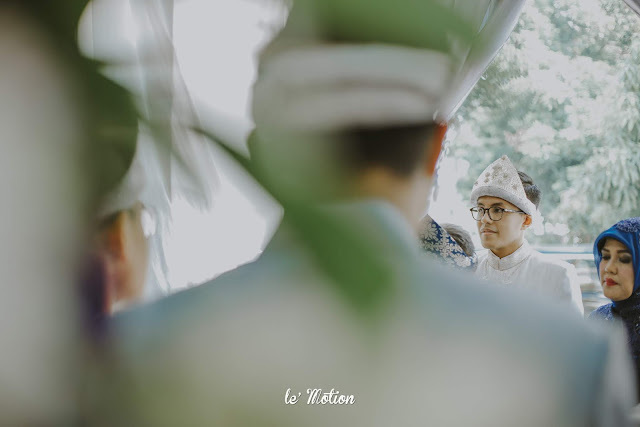 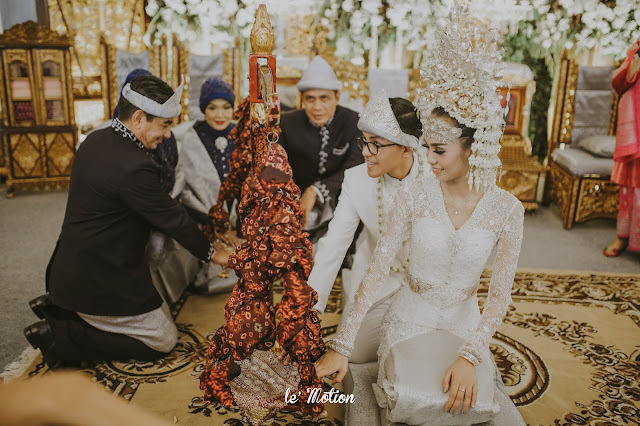 The Palembang wedding ceremony was completed by feeding each other with love or as we called "suap-suapan" and the other procession called "cacap-cacapan". 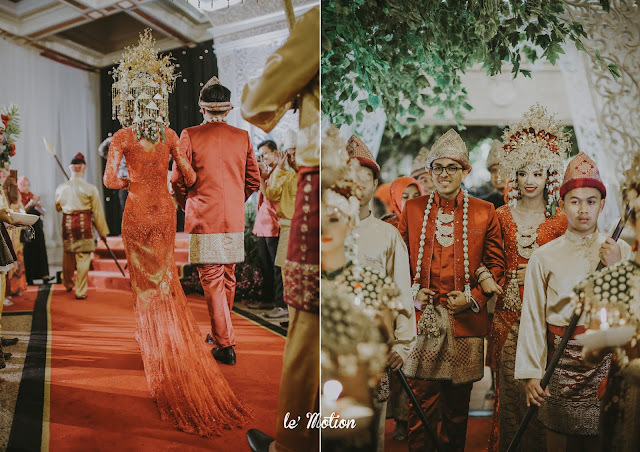 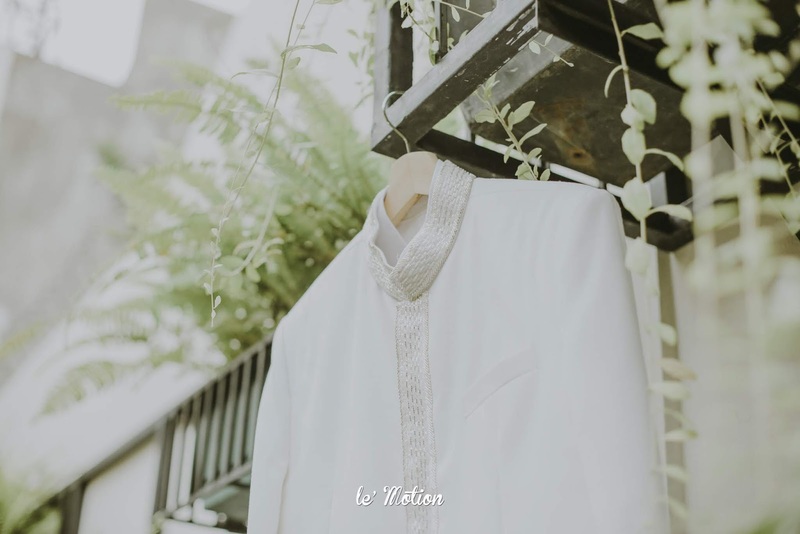 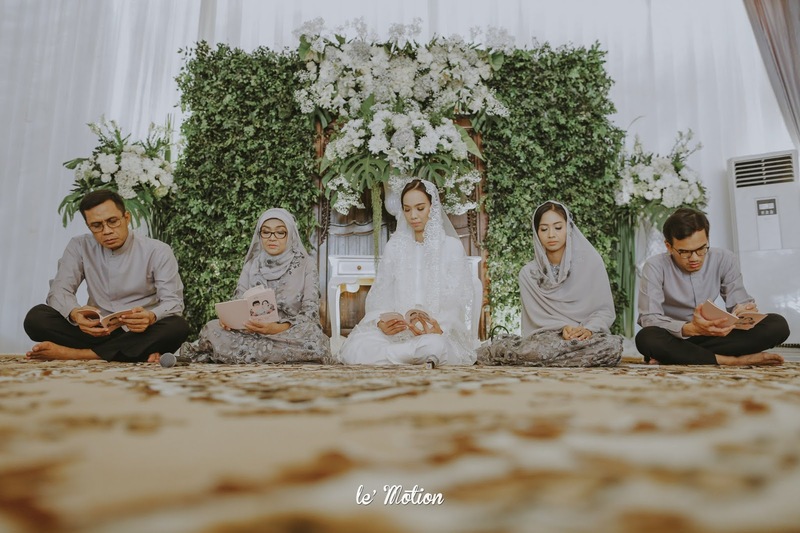 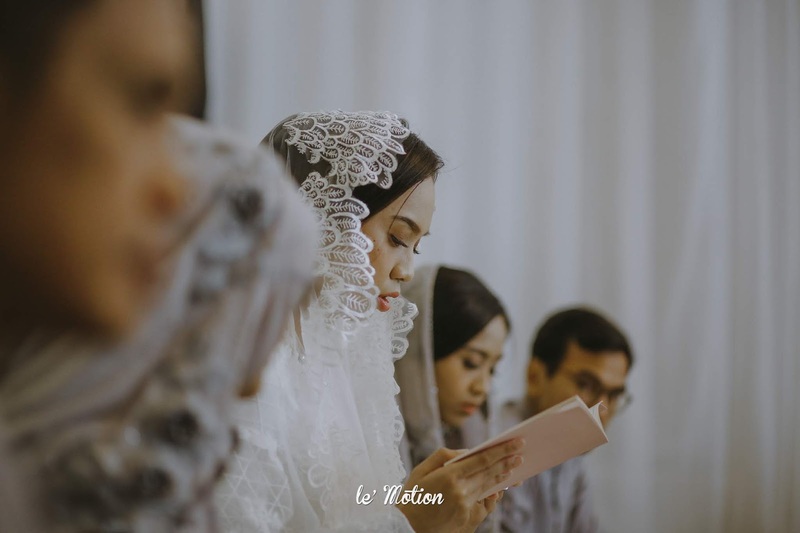 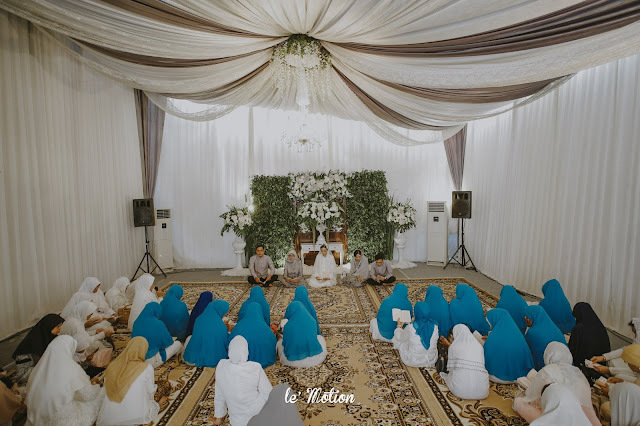 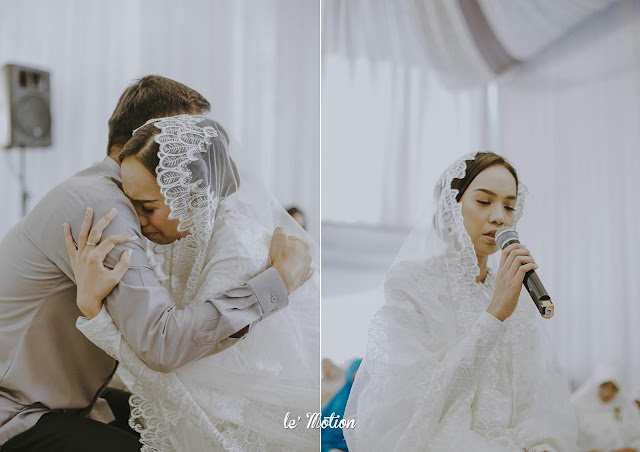 The same as other culture in different region, this traditional ceremony is being a well-known signature in an Akad Nikah procession. 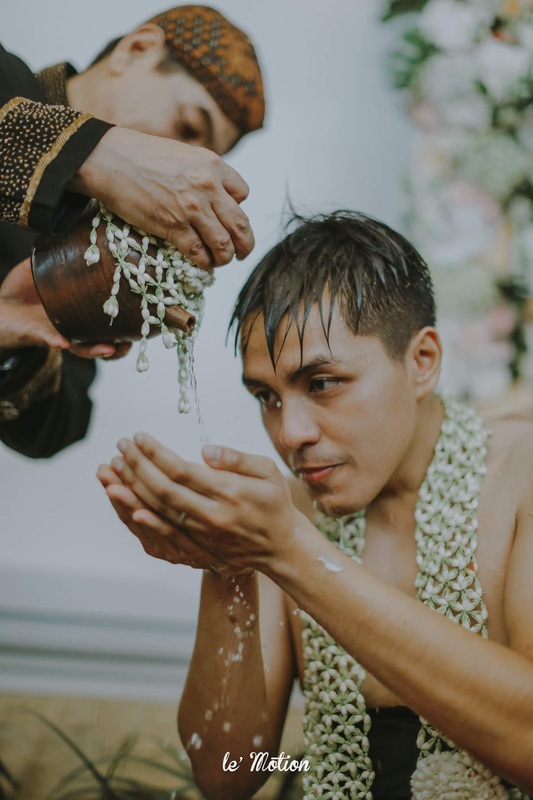 The procession is when the groom feeds the bride with yellow rice and the bride is also doing the same thing to the groom. 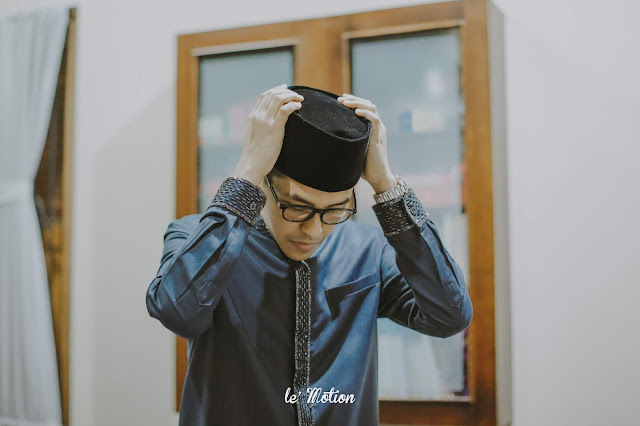 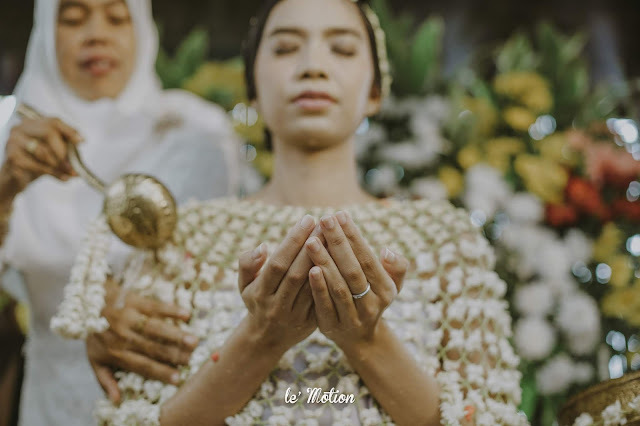 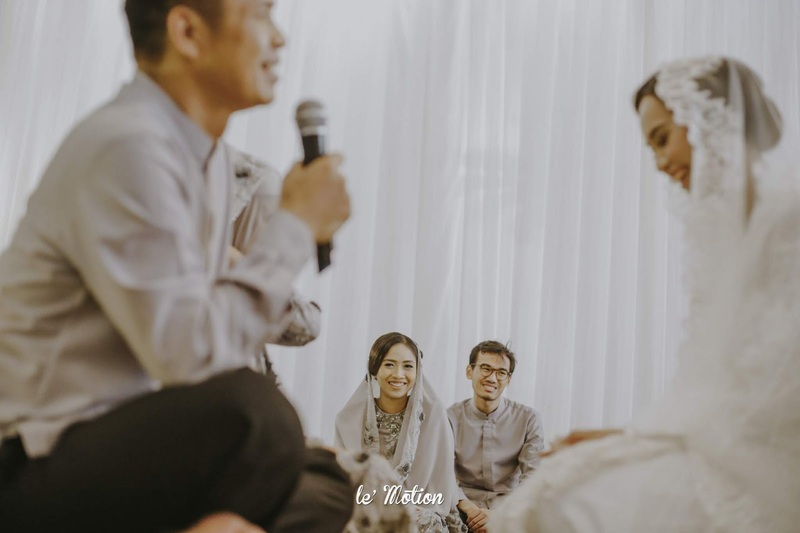 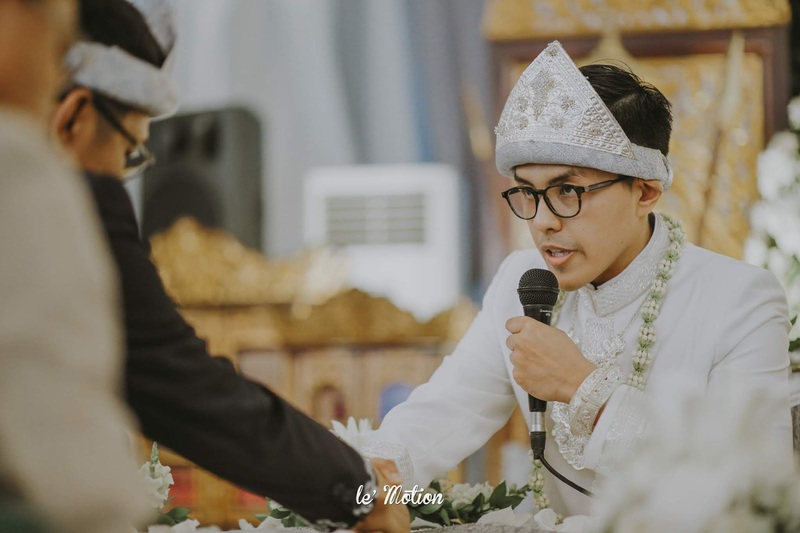 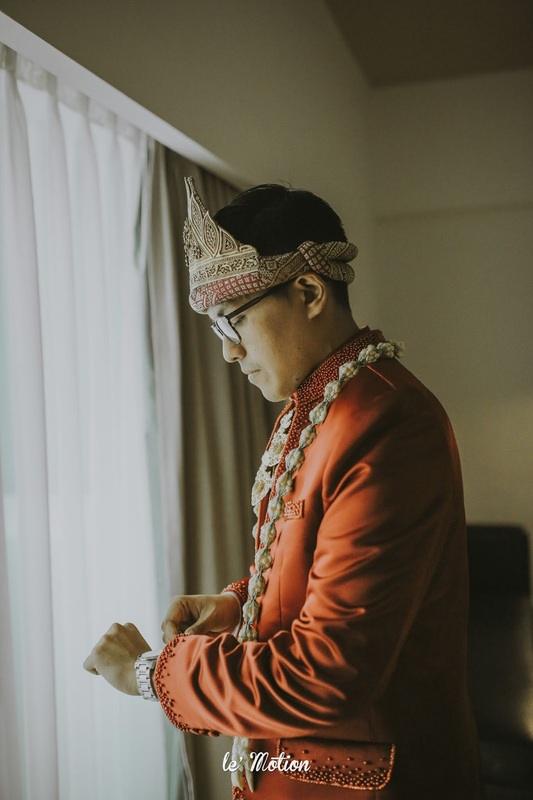 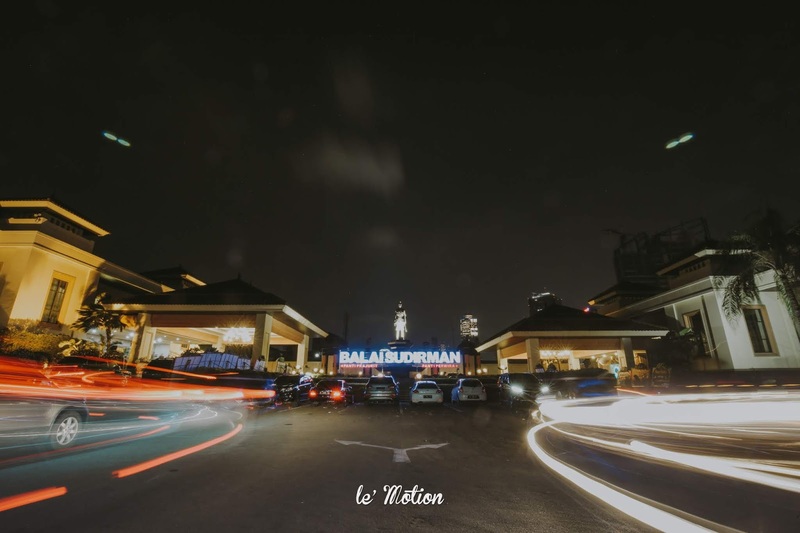 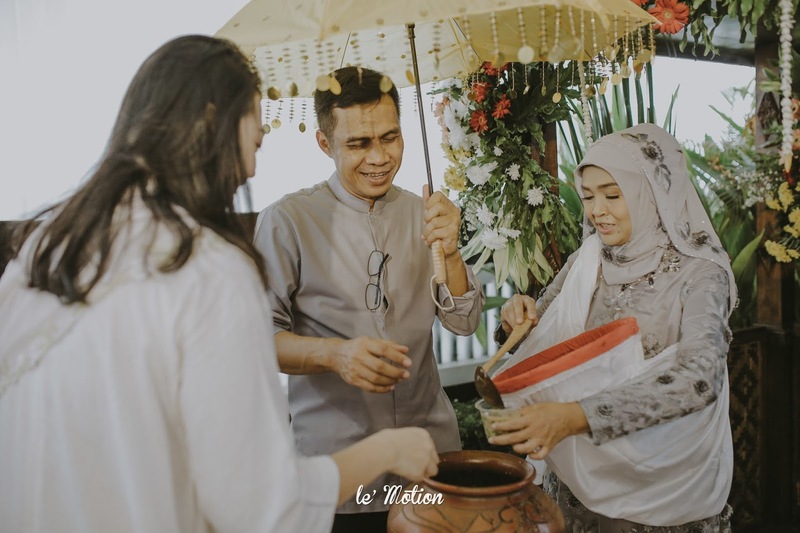 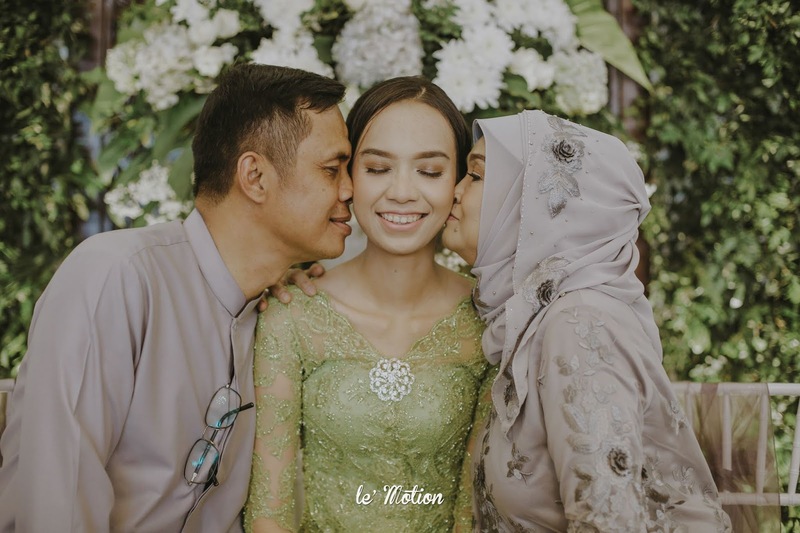 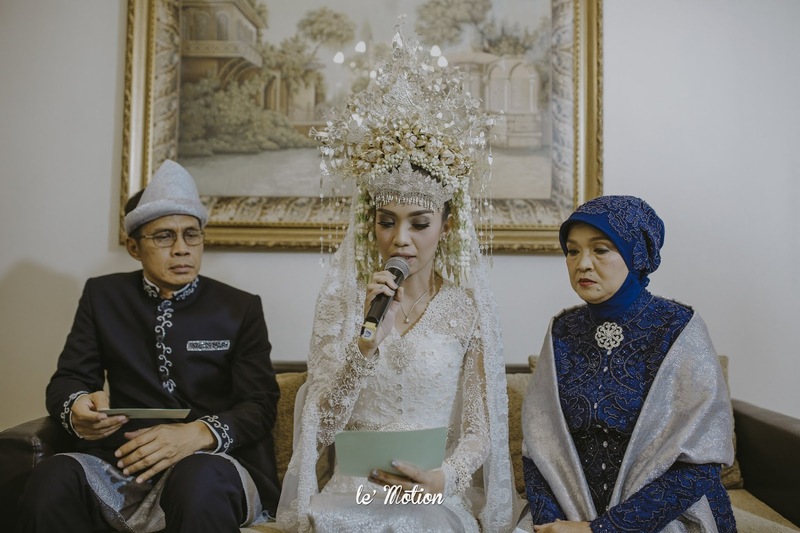 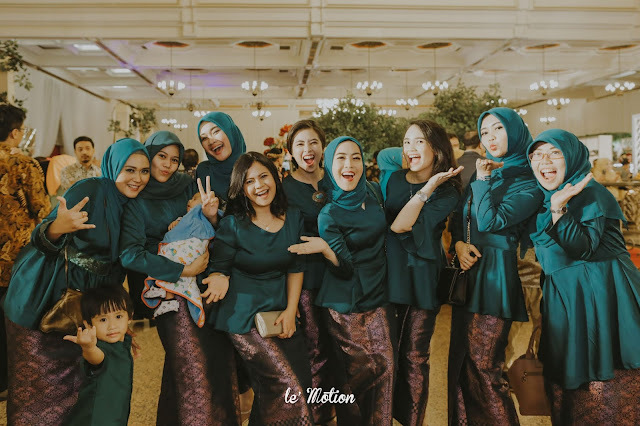 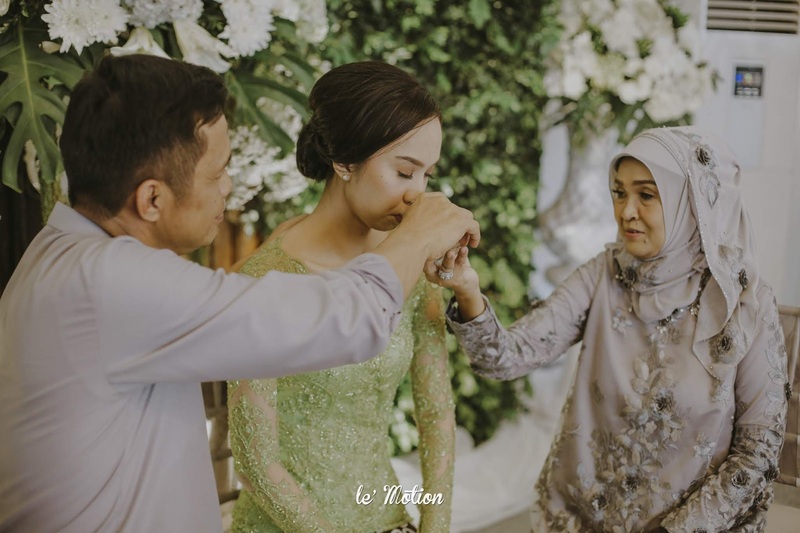 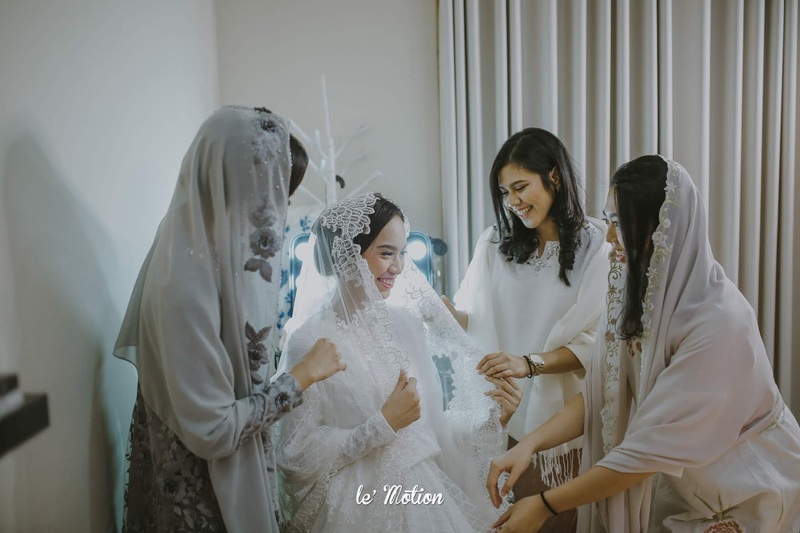 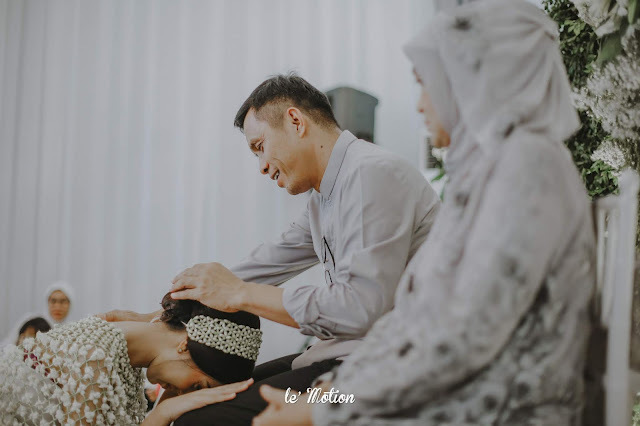 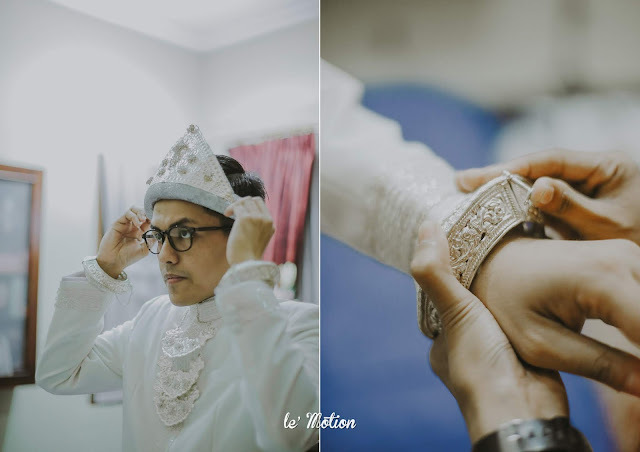 In Palembang, the feeding each other procession is not only in between the groom and the bride, but the parents and the elders are also involved, and in the end, they send true marriage advice both for the bride and the groom. 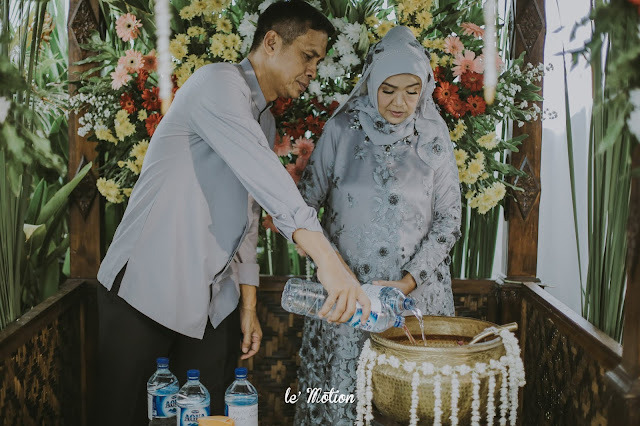 After the procession was done, it was time for "cacap-cacapan" which the water becomes the main symbol of life, sprinkled and pour onto the both couple. 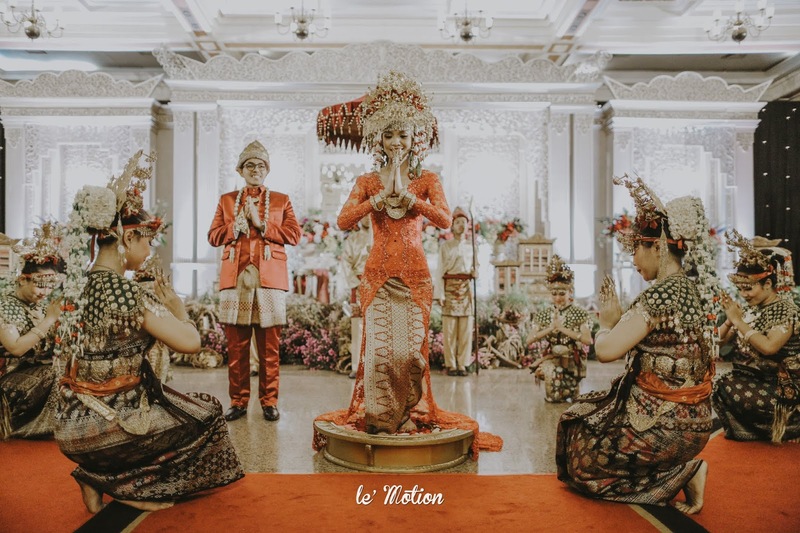 Dhea & Ridho reception party begins with a fabulous opening of rebana. It continues with kirab and Tari pagar pengantin. 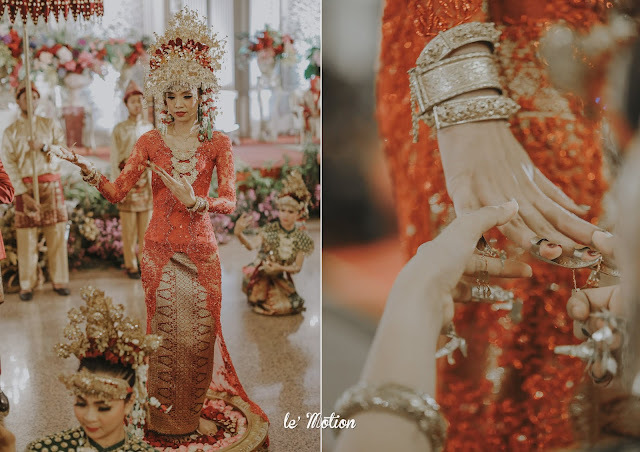 The traditional dance of tari pagar pengantin that performed by Dhea is used as a symbol for a bride in letting go of her single status. 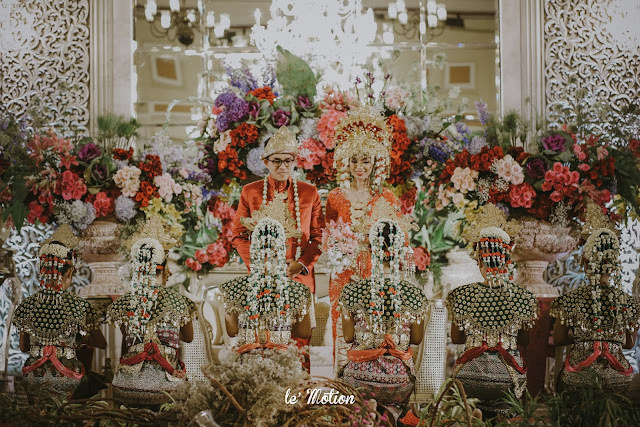 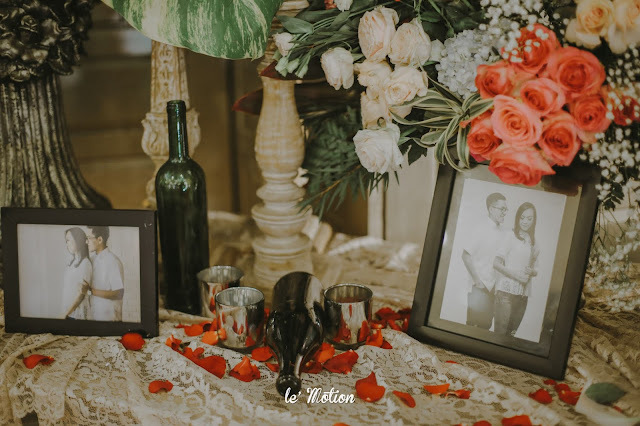 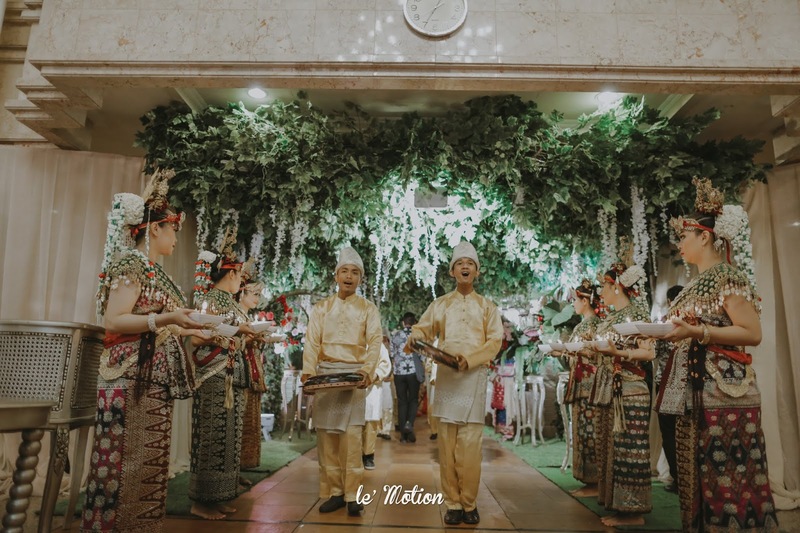 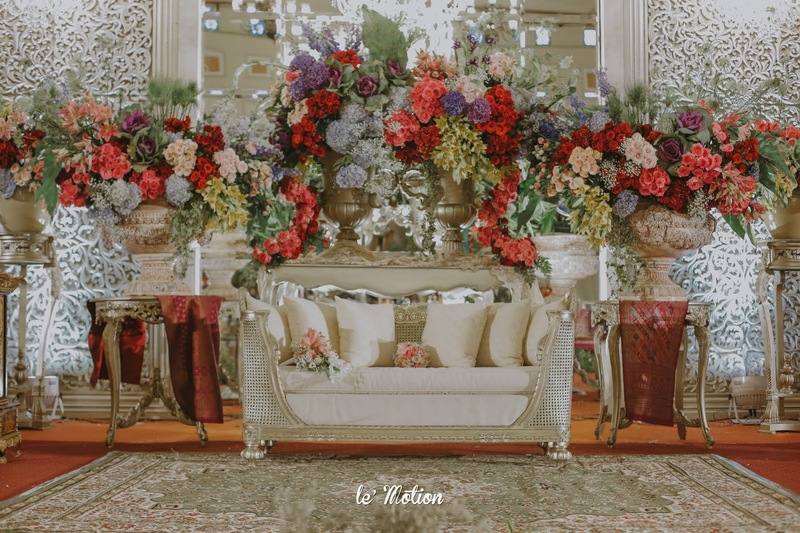 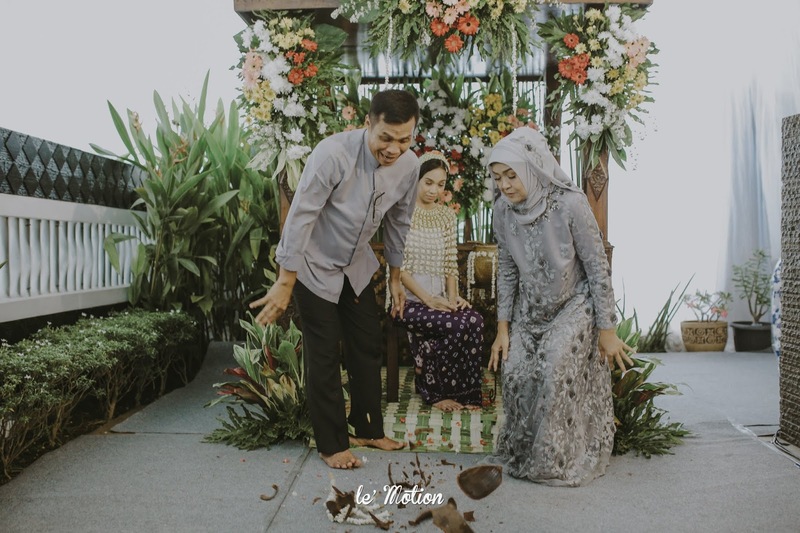 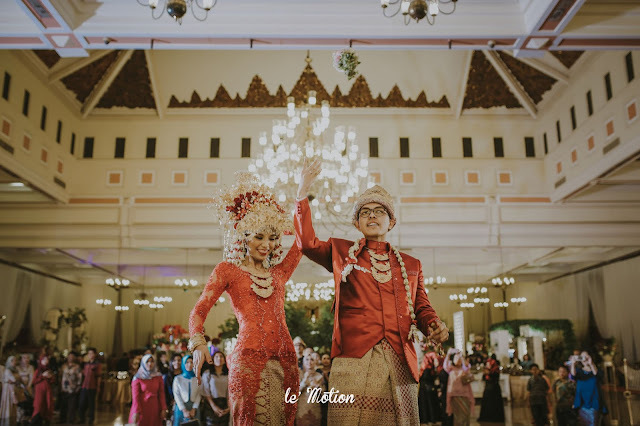 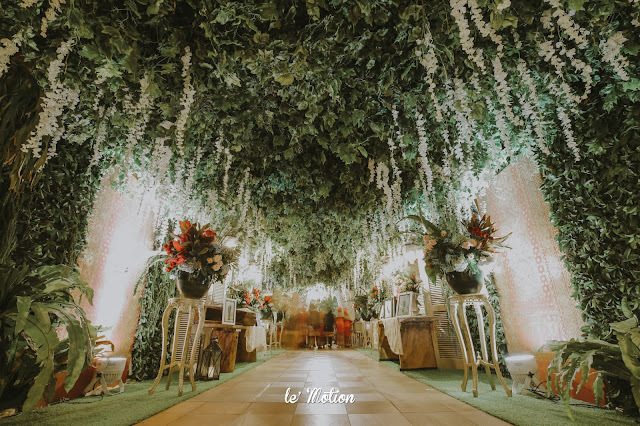 The traditional dance is performed in front of the groom, where the bride dances on top of a rosebush-covered tray or as it called "dulang". 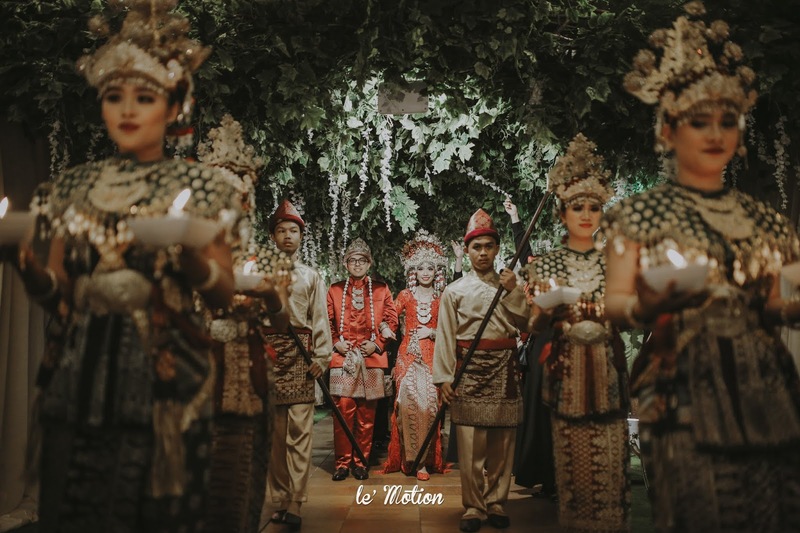 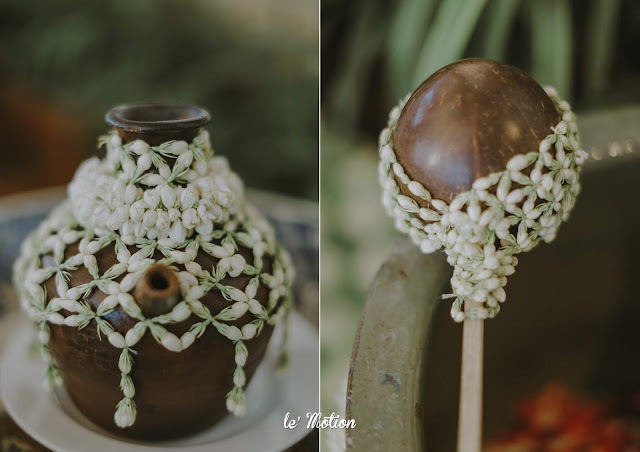 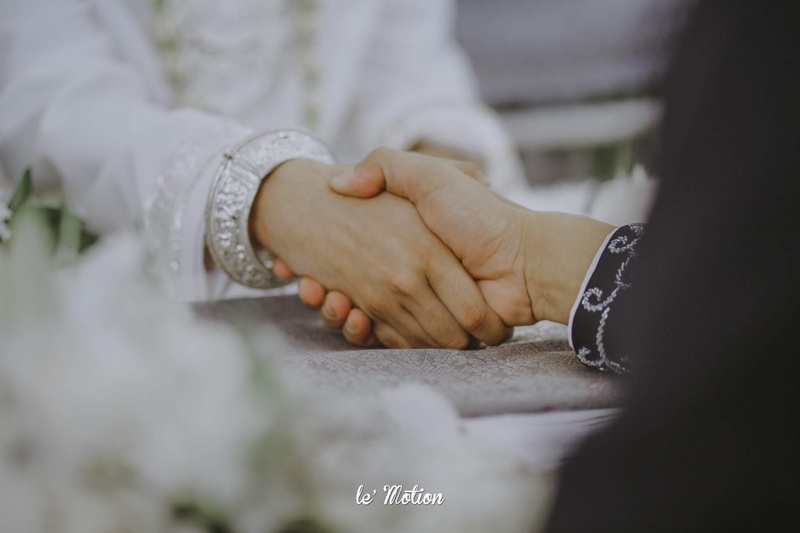 This procession is also as a symbol that a married woman will shall behave only inside of a circle or limited space rather than when she was single because now, everything must be considered with the permission of the beloved husband. 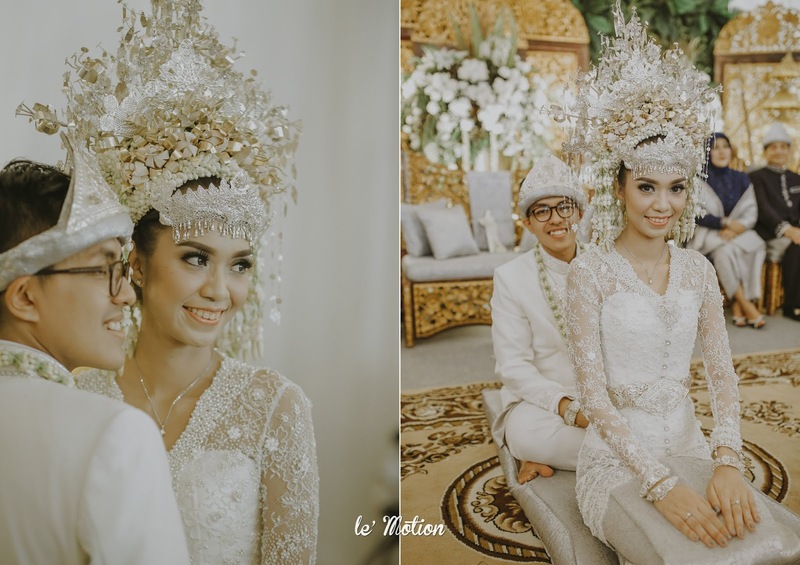 We are extremely happy to be involved in the wedding of Dhea & Ridho. 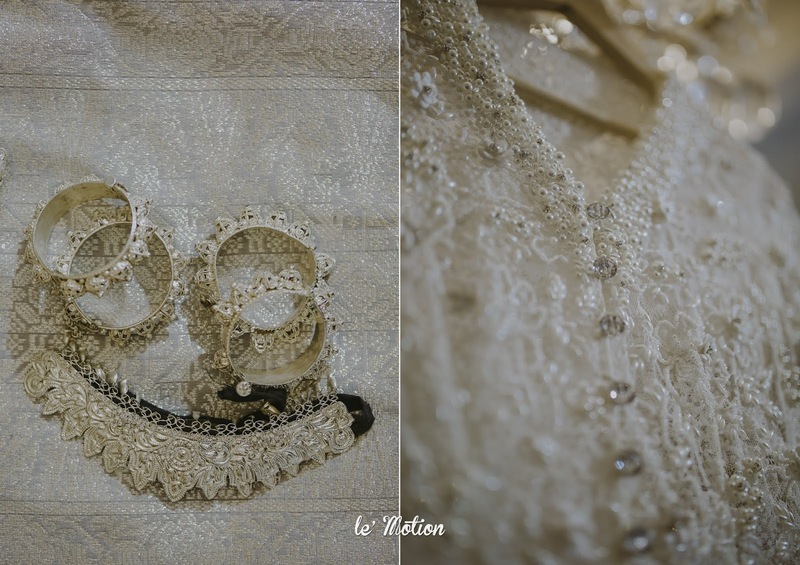 We also thank them both for the opportunity in being their wedding photographer. Best wishes for both of you in this wonderful journey, as you build your new lives together and may the years ahead be filled with lasting joy. 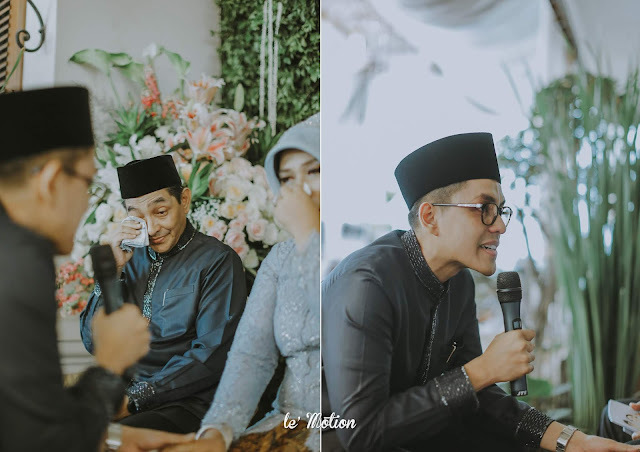 A Wonderful Way of Showing What Really Matters.